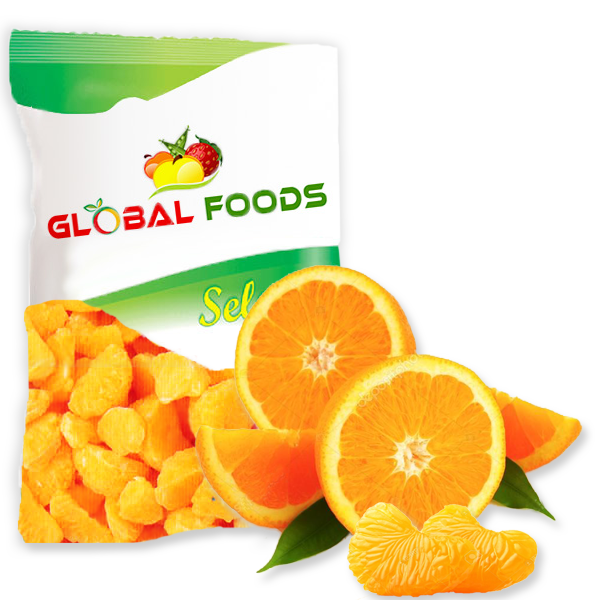 Global Foods introduces frozen Orange segments. The world famous Nagpur Mandarin Orange is renowned for its sweet taste, juicy flesh and distinct flavor. We procure best quality oranges directly from the orchards, sorted, cleaned, peeled & processed using world class IQF freezers. The farm level processing model ensure our clients get the best quality oranges all year round. Each orange segment is frozen separate, and never sticks together. Useful in a wide range of industries like ice-cream, juice, dessert, cakes, jams jelly manufacturing. It is also sold OTC.